Gas boilers are the most common tool employed to heat homes throughout the UK. One of the choices you will make when buying a boiler is the fuel type. With all the options available to you, the decision can be quite overwhelming. This is why we have compiled this guide with the information you need on prices and how gas boilers work. What are the average costs of gas boilers? Out of those connected to the gas grid, the majority of properties choose to use gas as fuel for the boiler. As most houses have a steady gas supply, choosing this fuel type is a sensible choice. However, there are issues other than convenience to consider. Is a gas central heating system more reliable than an electric one? Which one is cheaper to maintain? To answer these questions, you will need to look at the price of gas boilers. Buying a boiler, no matter what fuel type, is a significant investment. With the high expense, you are probably looking for ways to lower the costs of a new gas boiler. 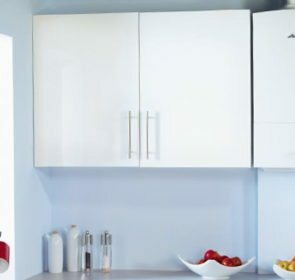 The best way to do this is to obtain quotes from at least 3 central heating companies—this way you can quickly identify the best gas boiler at the price that matches with your budget. Complete our quote request form, after which up to 5 companies operating in your area will get back to you. How do gas boilers work? Gas boilers, like boilers that run on other fuel types, are the central piece of equipment in your central heating system. Their main job is to heat water in what is known as a “wet system,” and pump it throughout the house via a series of pipes and radiators. A continuous supply of natural gas feeds the gas boiler through the gas main connection in the street. When switch on the boiler, gas is set alight and used to heat water via a heat exchanger. The boiler pumps the heated water to other parts of your house, either to radiators to heat the room, or in the case of conventional or system boilers, to hot water tanks for later use. If you prefer gas combi boilers, then the boiler will warm up the water on demand, and hot water tanks are not needed. There are many advantages to owning a gas boiler. Gas is efficient and environmentally friendly compared to other fuel types. You will not have to store natural gas in the same way you would if you have an oil or LPG boiler. Currently, gas is a much cheaper fuel than electricity. Since gas boilers are common, they are relatively easy to maintain and to replace, if the need arises in the future. However, there are inevitable drawbacks too. Even though gas is quite efficient, it is still not a clean, sustainable source of energy. Since gas price increases are common, your savings might be lower than expected. Without a gas connection, it might take a considerable amount of time and money to connect. 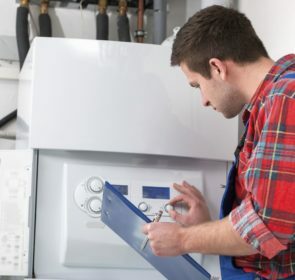 Additionally, gas boilers require regular servicing to maintain their efficiency. Efficiency of your home, namely insulation. The cost of using gas for your boiler is approximately 4.5p/kWh, compared to 16p/kWh for electricity. Based on the average energy consumption of the UK for heating and hot water (13,500 kWh), the gas and electric heating costs are as follows. The running cost of gas boilers is approximately £607.50 per year, which is much lower than the £2,160 cost for a fully electric central heating system. The gas price is still lower than if the Economy 7 tariff is applied. 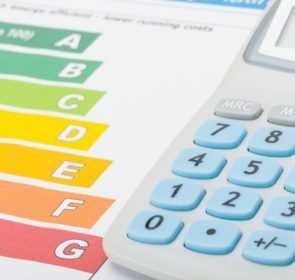 Electric heating costs fall to £1,215, calculated from the lower 9p/kWh for off-peak hours. Despite the lower efficiency rating compared to electric radiators, gas is one of the cheapest fuels to power your central heating system. Gas boilers are a relatively inexpensive and efficient way to heat your home. However, even though it might appear to be the best option, you still have to make several choices based on brand, model, and type. To help you make these decisions, contact multiple companies for advice and to compare their prices. The contact form takes only 1 minute and you will be able to compare up to 5 central heating quotes. 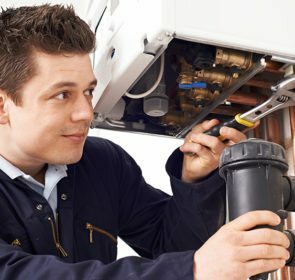 What Pressure Should My Boiler Be?